Right side: soft and romantic. Flip side: bubbly and graphic. 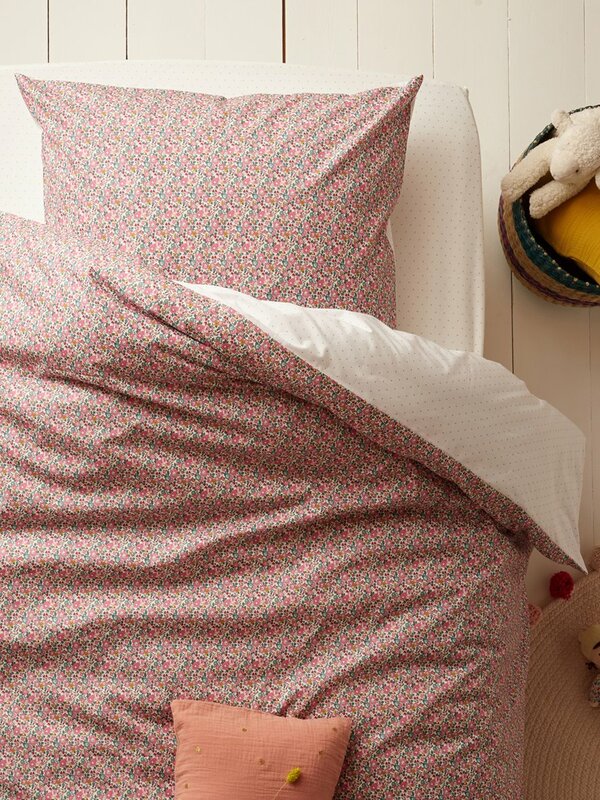 2 opposing styles for a bed set that's perfectly charming. Cyrillus creation. White back with golden dots. Envelope style pillowcase with 20cm flap. Machine washable at 40°C. Made in Portugal. Product shipped by lorry to limit carbon emissions. Liberty, 100% cotton (Betsy Ann) and 100% cotton. Liberty Art Fabrics. Exclusive motifs that we have selected from the collection of Liberty Art Fabrics, a registered brand name, that are designed in the brand’s London offices. 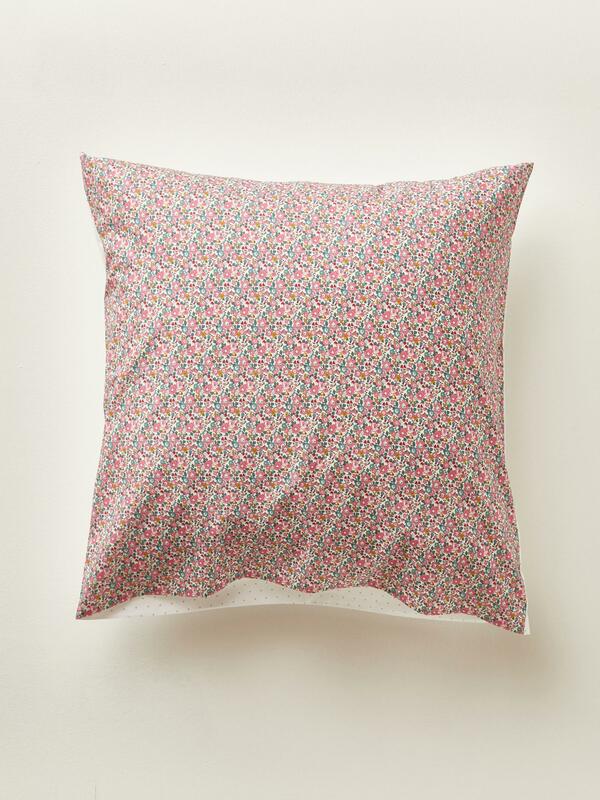 A Liberty fabric is the guarantee of a refined exclusive design and excellent drape. Liberty takes its name from its founder, Arthur Lasenby Liberty. Since 1884, the brand has developed fine and delicate cotton fabrics with the floral motifs that are so characteristic.